The Metamorphosis Experience (REVOLUTION) is a transformational experience designed to re-orientate you back to the highest self-actualized version of yourself. 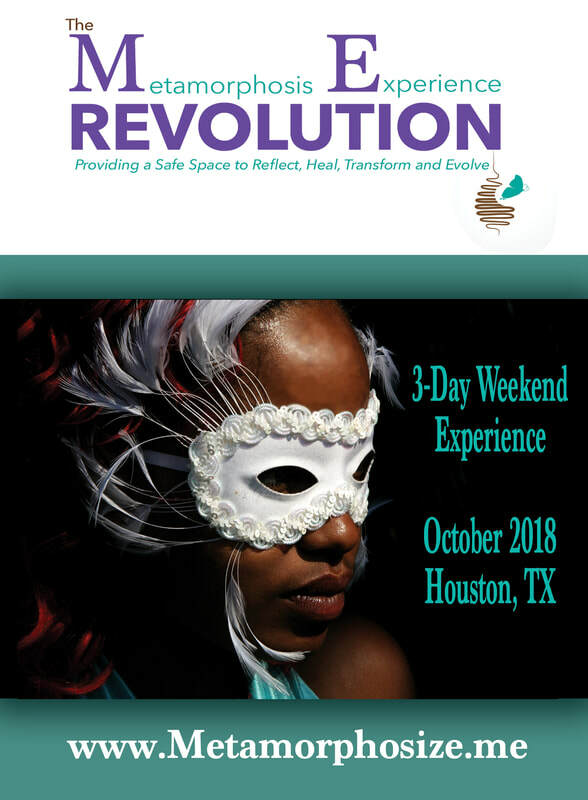 ​The Metamorphosis Experience (REVOLUTION), focuses on various approaches to developing a safe space, from an emotional, culturally based, spiritually solvent, psycho-social prospective while utilizing the life cycle phases of a butterfly to inspire transformation within ourselves to be actualized in our outer world. There is a collective wisdom and power when women come together with the intention of remembering the soul wisdom of our ancient mothers and grandmothers of many moons ago. We need our ancient mothers and grandmothers to speak and move through us as never before. We can no longer be afraid, timid and silent - because our soul's wisdom will always help us remember - if we are willing to stand in solidarity for and with each other. Let the healing and celebration begin!